Already skate for an established flat or banked track league? Are you visiting San Diego looking to drop in on a practice? We’d love to have you visit! Please bring full gear in good working condition: quads, knee pads, elbow pads, wrist guards, mouth guard, and helmet. We do have loaner gear available, but limited sizes and models are on hand and gear is not guaranteed to be available. Water Bottle – We do have water available for you to fill up your water bottle or you may purchase a water bottle from the vending machine. Weather Appropriate Protection – We get a lot of sun in San Diego, please wear sunscreen on sunny days. Please bring layers for practices after dark. Have questions? 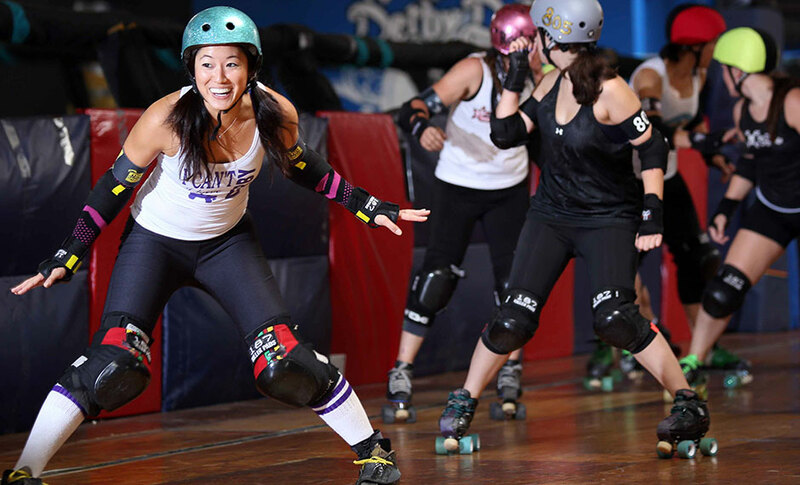 Please email newskaters@sandiegoderbydolls.com to contact our visiting skater coordinator.